Home › Jussie Smollett › State’s Attorney Kim Foxx Called Jussie Smollett A ‘Washed Up Celeb’ While Convincing Prosecutors To Drop Charges Against Him! We already knew Cook County State’s Attorney Kim Foxx felt that Jussie Smollett was being charged too harshly for allegedly lying to police about being the victim of a hate crime, and how she had a big hand in prosecutors dropping the charges against him. What we didn’t know was how badly she shaded the “washed up celeb” in the process! 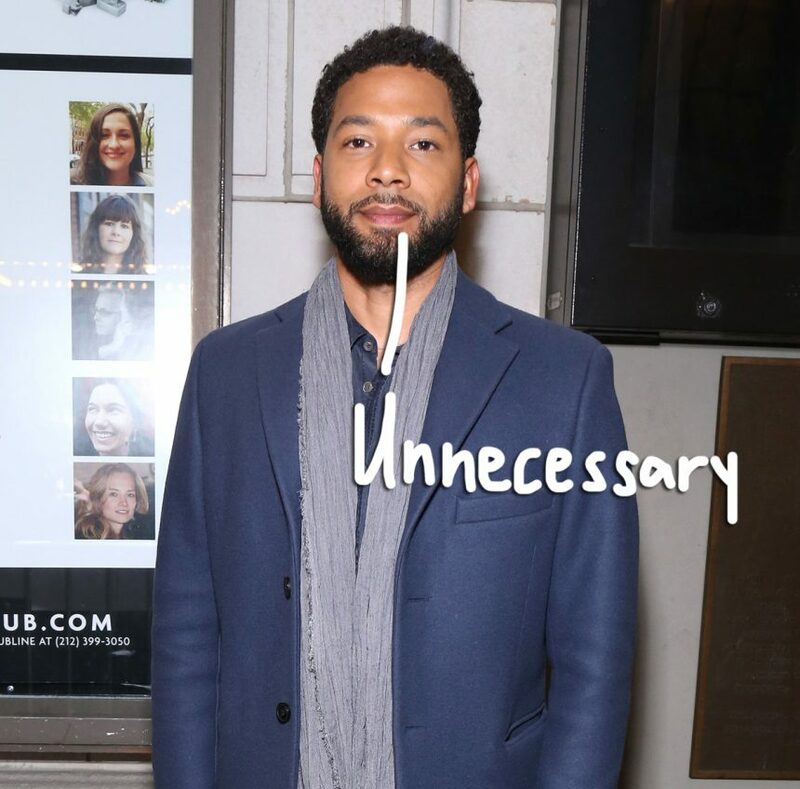 Related: Jussie SUED By City Of Chicago! The principled decision enraged many; particularly, the Chicago Police Department, who insisted they had lots of evidence proving that Smollett had paid his two attackers to stage the so-called hate crime on him back in January. Authorities argue that each of the 16 counts Smollett was slapped with covers various alleged acts that the actor (again, allegedly) falsely described to the officers in his report — including that he was hit by two men, that they yelled racial and homophobic slurs, put a noose around his neck, and poured a chemical on him. Police claim, in actuality, Smollett had paid Ola and Abel Osundairo to stage the attack as a publicity stunt because the actor was upset about his salary on Empire. So, essentially it looks like prosecutors didn’t actually believe the actor’s story: they just felt it wasn’t worth their time prosecuting it. The city of Chicago, however, has plenty of time on its hands….